Trade Show Holograms recently displayed their latest Holographic Projector at the IAAPA 2015 in Orlando FL for Pucuda Leading Edge. 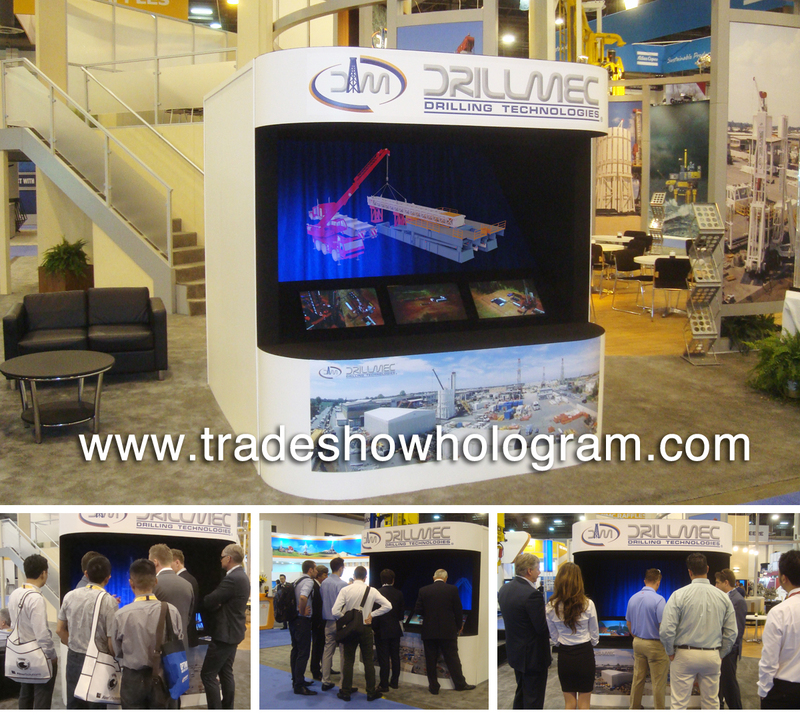 The display proved popular with crowds attending the IAAPA held this year at the Orange County Convention Center. A new HD Holo-projection lens was used to create a sharper and brighter holographic image. The 3D holographic projection could be seen from a much larger distance away than standard Holo Kiosk designs. 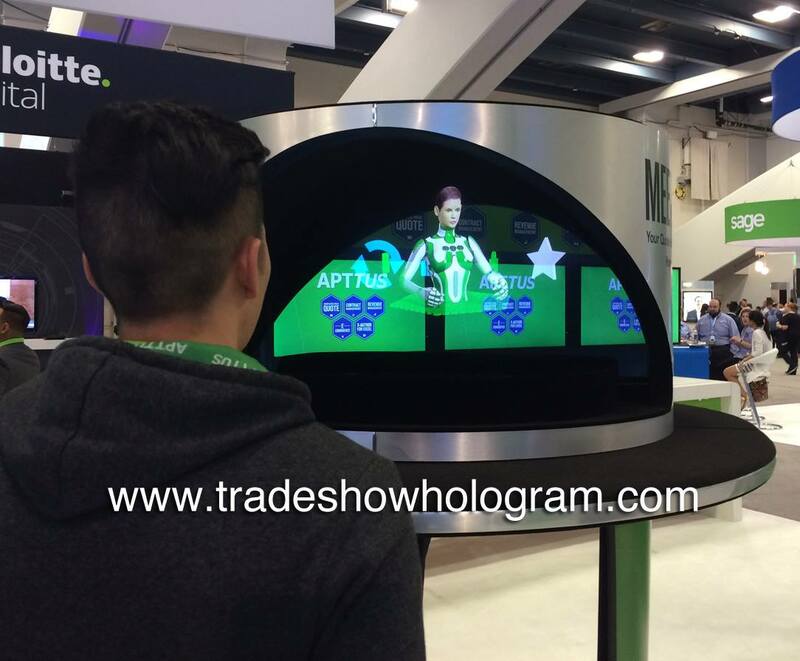 The new lens will now be used in all future Hologram Projectors says Timothy Drake, CEO of Trade Show Holograms. With a trade show floor being so busy, every trade show exhibitor is seeking both an attention getting and informative way to present their message to show attendees. 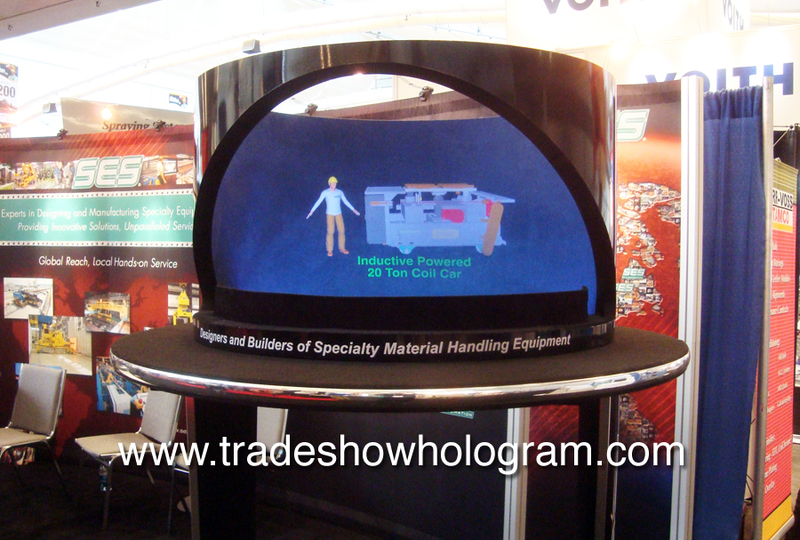 Trade Show Holograms ( a company offering a variety of 3D Hologram projectors ) recently designed and built a large scale hologram projector with those two goals in mind. This unique special effect creates a 3D holographic video projection floating in mid air. The combination of stunning visuals and enhanced sound effects creates both an eye catching visual as well as informative and educational display. Some trade show exhibitors have very detailed specifics they would like to highlight to visitors to their booth. This problem is solved with the addition of 3 separate video monitors to the front panel of this Hologram Projector. 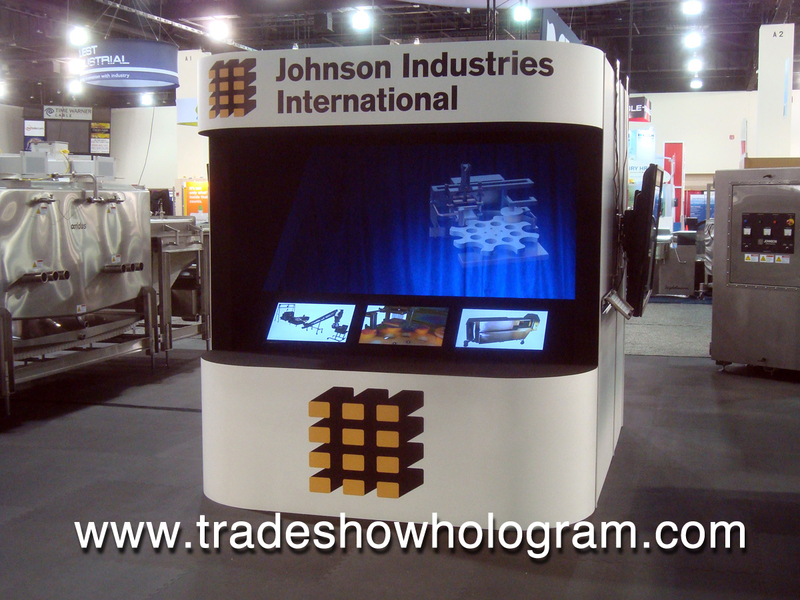 While the holographic projection is presented in 3D , the video monitors present more standard but informative video to maximize the info the visitor is offered during their visit to the clients booth. The results are both more perspective leads attending the booth and also the fact that those leads visit the exhibit longer than they do for the standard displays. 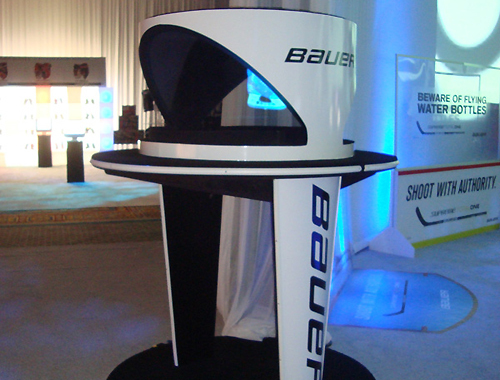 Trade Show Holograms offers this exhibit along with varying sizes and designs of hologram projectors for both sale and rental across North America. 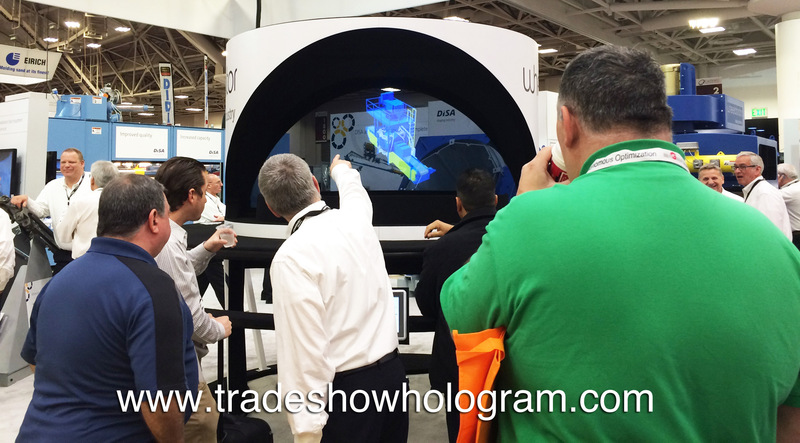 New Larger Hologram Projector draws and keeps attention to trade show booth.